In the field level section 52 row 8. That was Kemp’s 18th homerun this season. The homerun came inthe 3rd inning off Nuno. Haren won his 12th game. Credit Jansen with his 40th save, a good thing after Kenley had blown away the save on Wednesday day game. Congratulations Javier! Hope Matt signs the baseball. Twas the Night Before Christmas at the MLB Blogs! What everyone posted on this Christmas Eve. Was just what they needed, but Oh no! the buggers! When they went to the MLB site, none could be found. Is the server down the reason we cannot read? How could he do this in our time of need? They pined for their read/write and settled in for the night. “Did we misspell the link? Did we hit the wrong key? Did it go to LALA land?” Oh such misery! One by one, they discovered their Christmas Eve reads. Their eyes how they twinkled, they laughed and smiled. And they settled into the chair to read/write for a while. But it’s still such a mystery where the MLB links had hid. Was it there all the time and they just didn’t see? Or did Santa step in and do a good deed? 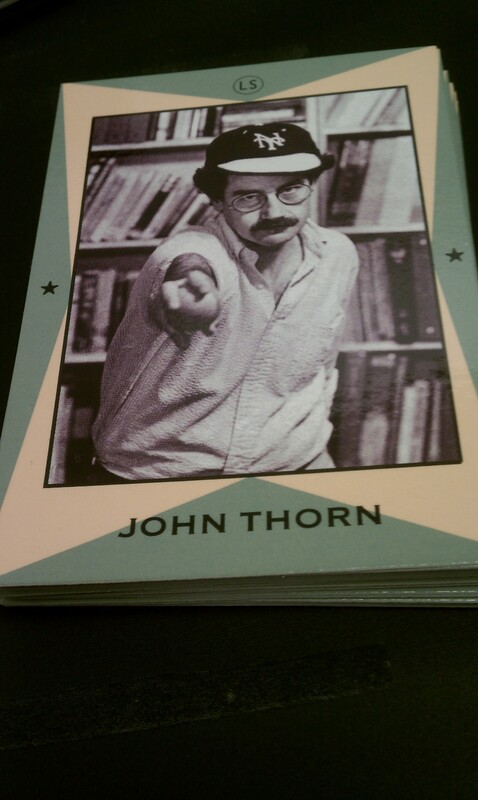 And good MLB bloggers and readers he vows never to miss. So they shut down their computers and laid down their heads. Merry Christmas to all and to all a good night! Happy New Year! Walking from the bar one Winter Eve. and incriminatin’ Claus marks on his behind. But as for me and Dodger fans we believe. Should we keep his acquisitions or send them back? SEND THEM BACK SEND THEM BACK! What a great day in Los Angeles for us Dodger Fans! First we get the news that Clayton Kershaw, Matt Kemp and Andre Ethier win Gold Gloves! Congratulations guys! The next news I received yesterday was that Frank McCourt agreed to sell the Dodgers! Dodger fans are celebrating everywhere! I am off to the SABR AFL conference in Arizona early tomorrow morning! details here http://sabr.org/latest/exciting-schedule-deck-sabr-arizona-fall-league-conference I am excited about attending and also to see Dustin Pedroia there. Maybe Ethier will also be there…. 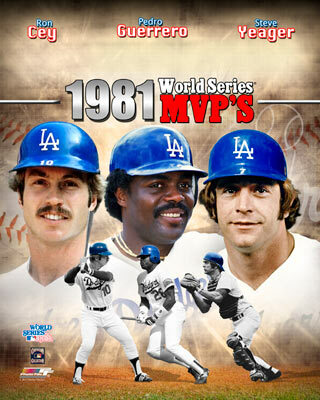 In it, it shows Dodger fans that have had their season tickets for 30 years or more. Although I started 30 years ago as a season ticket holder, my total years do not equal that. I do have friends in that picture. The September magazine saluted us fans as the 10th player! Is nice to have a magazine dedicated to us fans. 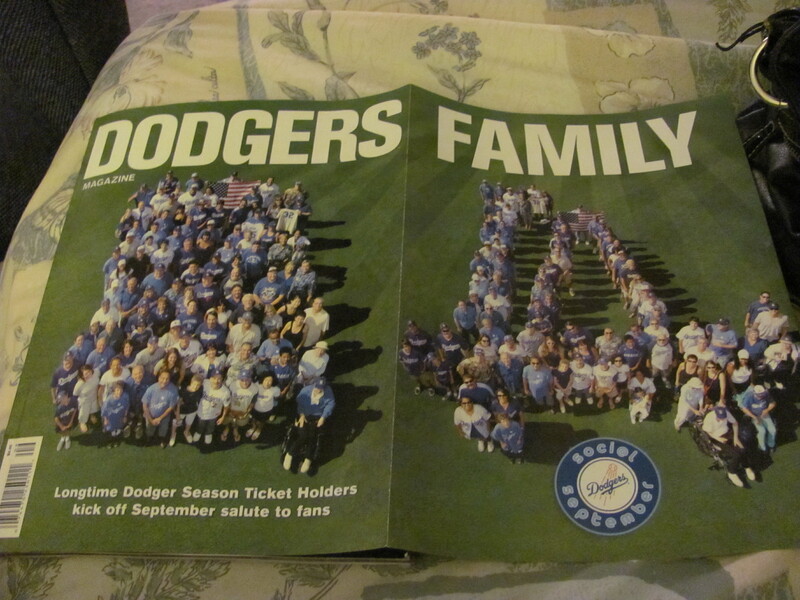 In addition to a salute to the long time season ticket holders, the Dodgers took the time to interview a lot of Dodger fans for the magazine like the Aisle 2 Crew in the Reserved and yours truly. 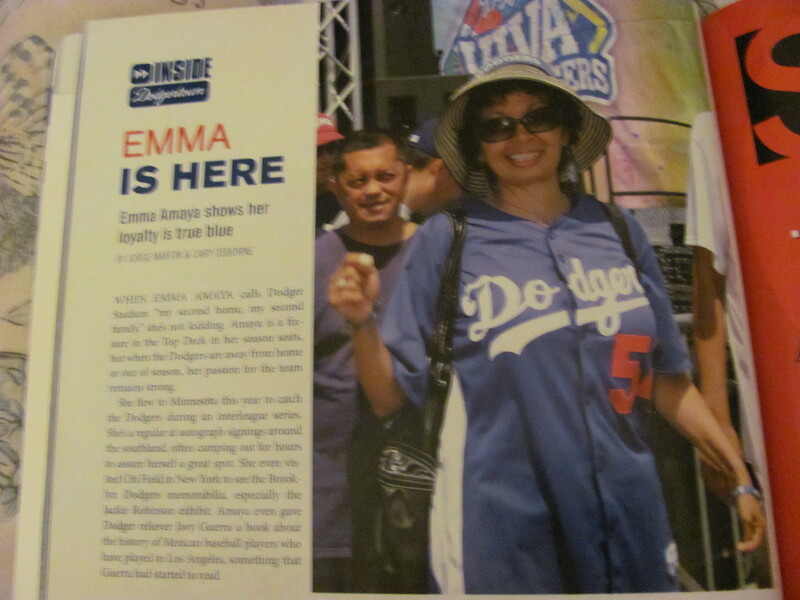 WHEN EMMA AMAYA calls Dodger Stadium “my second home, my second family,” she’s not kidding. Amaya is a fixture in the Top Deck in her season seats, but when the Dodgers are away from home or out of season, her passion for the team remains strong. She Flew to Minnesota this year to catch the Dodgers during an interleague series. She is a regular at autograph signings around the southland. Often camping out for hours to assure herself a great spot. 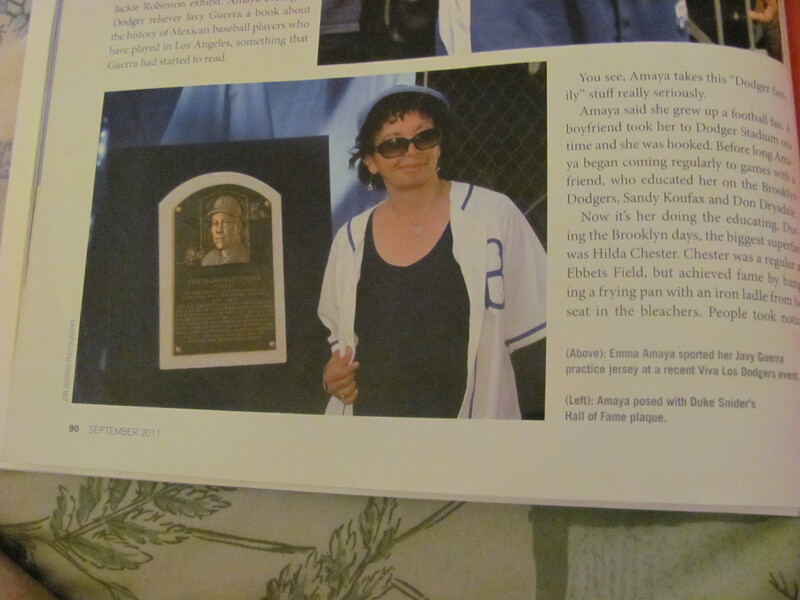 She even visited Citi Field in New York to see the Brooklyn Dodgers memorabilia, especially the Jackie Robinson exhibit. Amaya even gave Dodger Reliever Javy Guerra a book about the history of Mexican baseball players who have played in Los Angeles, something that Guerra had started to read. You see, Amaya takes this “Dodger family” stuff really seriously. Amaya said she grew up a football fan. A boyfriend took her to Dodger Stadium one time and she was hooked. Before long Amaya began coming regularly to games with a friend who educated her on the Brooklyn Dodgers, Sandy Koufax and Don Drysdale. Now it’s her doing the educating. During the Brooklyn days, the biggest superfan was Hilda Chester. Chester was a regular at Ebbets Field, but achieved fame by banging a frying pan with an iron ladle from her seat in the bleachers. people took notice. (Left) Amaya posed with Duke Snider’s half of Fame plaque. Amaya doesn’t fashion herself exactly as a 21st Century Hilda Chester, but she did come to Opening Day last season dressed as the legendary fan. a curious usher asked about her costume. 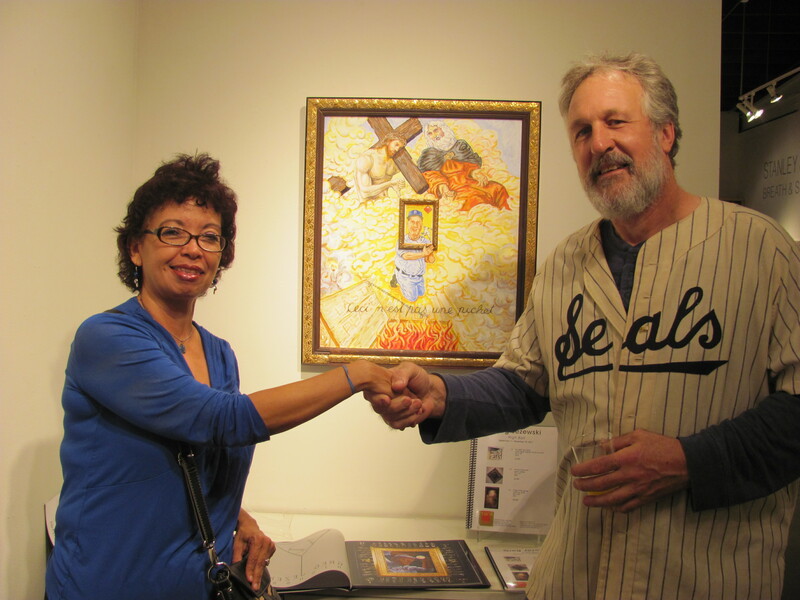 Amaya speaks affectionately and nostalgically about the Dodgers, pointing out that the first year that she had season tickets was 1981–The year of Fernandomania and the World Series against the New York Yankees. A computer programmer from El Monte, Amaya has also helped build communities both in and around Dodger Stadium. 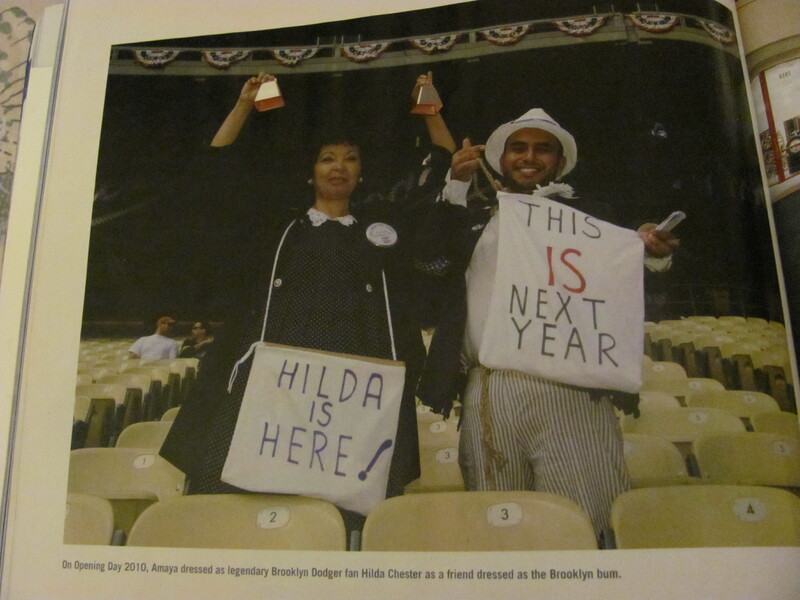 sh has developed bonds with Dodger fans on Twitter and the regulars at her Top Deck seats at Dodger Stadium, and has even gone to Dodger related events with the people she sits with at games. Kemp might have been thinking about theat interaction when he did another autograph signing on Aug. 26. On that day, Kemp ordered pizza for everyone in line. Thank you Dodgers! Thank you Jorge Martin & Cary Osborne and all that contributed to the article. I am humble by it all.